Want to be a Rennell Redhawk Volunteer? Becoming a Redhawk Volunteer is easy. You must first register with PTO Manager to start receiving volunteer email notifications. Click on the following link and follow these simple steps to get started. 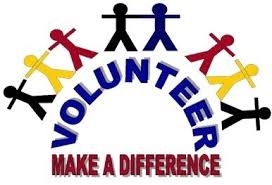 Tab #2 - Volunteer Interests - Check all of your volunteer interests here. Tab #3 - Student(s)Information - Enter your child's information here. You will now start to receive emails pertaining to the volunteer interests you checked. You may go back in and make changes anytime. Thank you so much for being a part of making Rennell a great school!